Anand Engineering College (AEC) is situated at the 18 km milestone from Agra on the Agra-Delhi Highway (NH-2). It is housed in a grand complex with 60 Acers of sprawling campus. 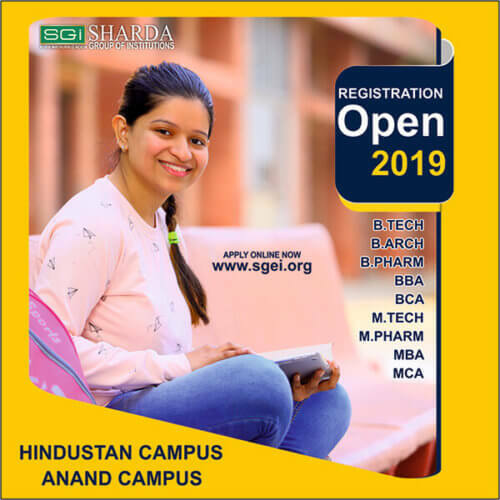 Anand Engineering College (AEC) Founded at Agra in 1998 under the flagship of Sharda Group with a commitment to deliver quality education. The systems and processes are being continuously tuned to accord with its mission of contributing to the national cause of building a pool of competent professionals for deployment anywhere in the world. The College prides itself in providing the students with an excellent environment for pursuing their studies. It leaves no stone unturned in enhancing their technical skills & knowledge. AEC is awarded for its high quality of learning processes, amenities & excellence when compared, amongst the best colleges of the country. AEC leaves no stone unturned in enhancing their technical skills & knowledge. It has always tried to maintain 1:15 ratio as per the AICTE norms offering courses in different fields of engineering & it also imparts practical training through its well-equipped laboratories, workshops, computational facilities, mechanical labs etc. Train students with world-class competencies and cutting-edge proficiency to face challenges of global market with confidence. Develop in student’s value sets and attitudes for a value based, fulfilling and a wholesome life. Create effective interface with industry, business and community to make education responsive to changes. Absorb and to create through R&D, disseminate and help apply state of the art technologies and practices to social problems. Build top of the line faculty through appropriate human resource policies, to achieve mission goals. The Sharda Educational Trust envisions an ambience of excellence, inspiring value – based education, research and development. Establishing bench marks in academic excellence and holistic grooming of students, to meet the career challenges in an increasingly globalized economic conditions – the Sharda Educational Trust earned goodwill by delivering the promised performances and by adopting best practices and systems.